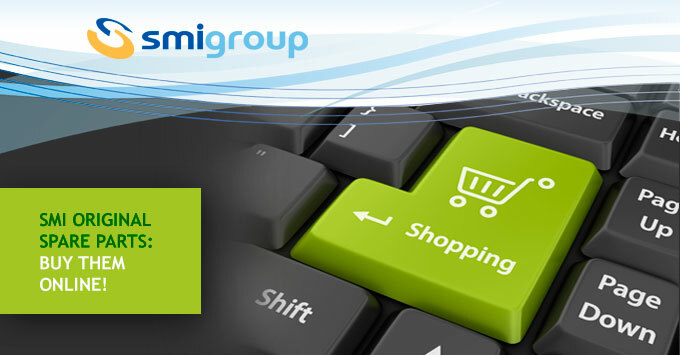 With the aim of simplifying and speeding up the supply of spare parts, SMI launches the new Smigroup e-store which enables customers (for now only in the EU) to purchase standard spare parts (not custom-made pieces) directly and immediately. item code number (traceable on the spare parts manual or directly on the item to be replaced). Every article is extensively presented by an information sheet reporting its photo, technical data and price. Once the selection of the articles has been completed, you can confirm your order and secure your payment by credit card or paypal, by a sophisticated data encryption system. You don't find what you need? Call us! If you don't find what you need in the e-store or have doubt about the online buying process, don't hesitate to contact our spare parts department by sending an e-mail to angelo.zambelli@smigroup.net or by calling the following number +39 0345 40310.